Spain is lucky enough to possess its own grape varieties: red varieties such as Tempranillo, Garnacha, Monastrell (Mourvèdre), Verdejo, Albariño and numerous other special varieties. As one would expect, we also find Chardonnay, Sauvignon And Cabernet Sauvignon varieties but in most cases they are used only for assemblage with local varieties. The Rioja region is certainly the “sweetheart” region of Spanish red wines and the Ribera del Duero is another major red wine-producing region of Spain that continues to gain recognition for its vibrant reds. 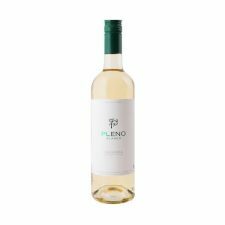 An aromatic wine with aromas of apricot, orange peel and blossom. On the palate there is a lovely combination of ripe stone fruit and citrus freshness to the finish. The attractive bright purple tinged colour leads you to a nose laden with ripe cherry and a subtle hint of spice. The palate has a wonderful roundness and smooth texture which reveals delicious berry fruit and spice flavours. A Wineservice favourite offering great value.